A gardener’s work is never done, with year-round maintenance and constant exposure to the elements, all too often our hands are neglected in the pursuit of creating the perfect garden. 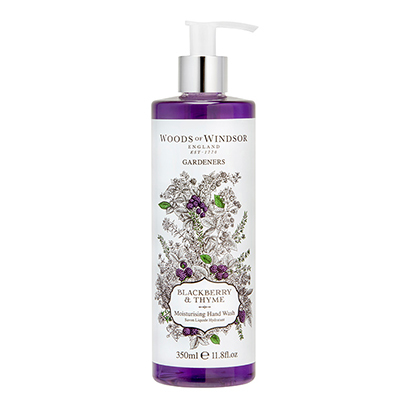 Woods of Windsor’s new Gardeners Range is formulated with extra conditioning and moisturising ingredients, to nourish those green fingers and restore smooth skin to hardworking hands. Everything from exfoliating scrubs to intensive balms, this range is infused with the refreshing fragrance of Blackberry & Thyme, evoking the sweet, herbal aromas of an English country garden, combining green tea and ripe blackberry with a heart of rosemary, thyme, mimosa and white jasmine. Apply liberally after a bath or shower onto dry skin to fragrance and moisturise in one go. Layer with a spritz of Eau De Toilette to add further depth and ensure you are smelling gorgeous all day. 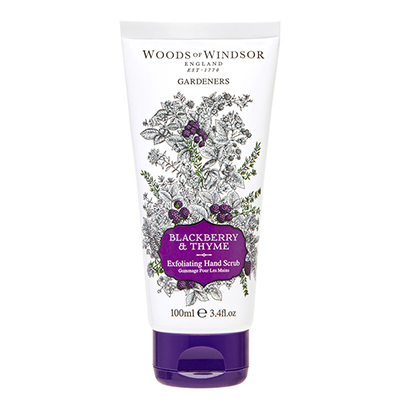 Formulated with blackberry extract, rich in vitamins A and C, antioxidants and essential fatty acids and healing thyme oil, this moisturising hand wash foams up to create a luxurious lather. Hands are left thoroughly cleansed and lightly moisturised. Contains 88% naturally derived ingredients. Paraben free. This exfoliating scrub contains pumice to cleanse and remove any stubborn, ingrained dirt. 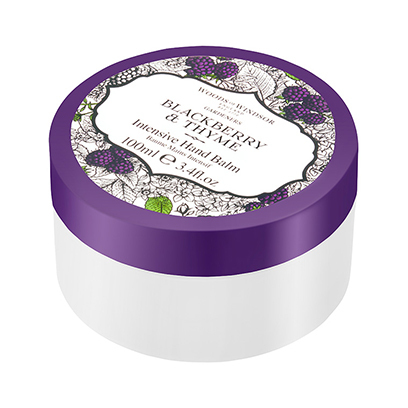 With a blend of blackberry extract, rich in antioxidants and essential fatty acids to help protect and moisturise along with healing, antibacterial thyme oil, it will leave hands feeling soft, smooth and freshly fragranced. Contains 92% naturally derived ingredients. 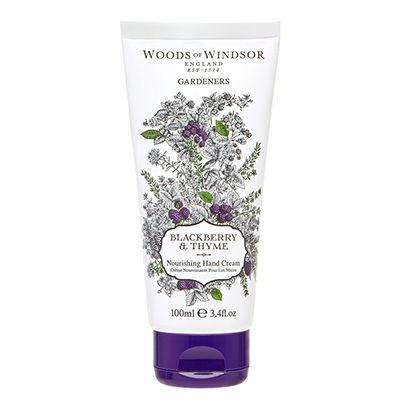 Apply this easily absorbed, nourishing cream after Blackberry and Thyme Hand Wash to help restore hands after a day in the garden. A blend of shea butter, antibacterial and healing thyme oil and blackberry extract, rich in antioxidants and essential fatty acids that help protect and moisturise, it leaves hands feeling soft, smooth and freshly fragranced whilst conditioning nails. Contains 96% naturally derived ingredients. Paraben free. This easily absorbed, intensive balm contains shea butter, antibacterial and healing thyme oil and blackberry extract to help protect, moisturise and treat hardworking dry hands, leaving them feeling soft, smooth and freshly fragranced, whilst conditioning nails. 91% naturally derived ingredients. Paraben free.